Why stop at female priests? Has it occurred to anyone that maybe, just maybe, it would be a good thing for the next pope to be a woman? And while it appears that New York’s own Timothy Cardinal Dolan might actually have a small chance to sneak into the Vatican, perhaps there is another Irish American who might be an even more inspired choice? This week, the cardinals are congregating in Rome to elect a new pope and there is much muttering about serious changes. Will the next pope be a conservative looking to shore up a dwindling but committed flock? Or a reformer, hoping to send a message that the church is willing to change in order to attract those who have left the church as well as new followers? One of the issues that must be dealt with -- especially in countries like America -- is the dwindling number of priests. Just in time for this contentious topic, Catholic intellectual Gary Wills has just released a new book entitled Why Priests? A Failed Tradition. Wills argues that there is no historical or even theological basis for maintaining the priesthood in the Catholic Church. “As this (papal) election approaches, some hope that the shortage of priests, and their damaged reputation and morale, can be remedied by adding married priests, or women priests, or gay priests. But that misses the point,” Wills wrote last month in The New York Times. Wills makes some fine points, but he’s so critical of so many aspects of Catholicism that it’s hard to avoid calling him what he appears to be -- a Protestant. If priests aren’t going away, is there much reason to believe we might see married or female Catholic priests in our lifetime? Not likely -- and that’s a shame. It is starting to feel like this is a rare moment for truly radical thinking with the Catholic Church. 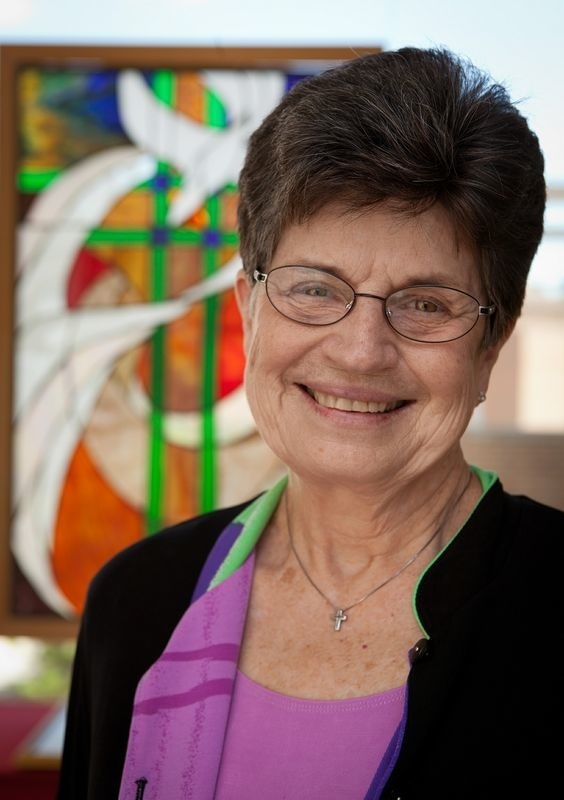 Well, how’s this for radical -- how about Sister Pat Farrell, former president of the Leadership Conference of Women Religious (LCWR), for pope? Okay, yes, Sister Pat is, indeed, a woman. And while rules say that any Catholic can technically be elected pope, the rules also say that that the pope must be a male. Well, we know where this has gotten us. Meanwhile, Sister Pat’s central point is one that 21st century Catholics can no longer ignore. How in God’s name can the leadership of the church continue to ignore the talents, energy and contributions of half of the people on the planet? “I think there are many issues in the Catholic Church right now that could leave the faithful somewhat demoralized,” Sister Pat told NPR radio this month. It is worth adding that in the wake of 9/11, many pointed out that one fundamental weakness of heavily Muslim countries was their inability to tap the potential of their female citizens. Can’t the same be said for the Catholic Church? The extensive contributions of nuns at the parish level only makes the case for expanding their role in the church stronger. Fittingly, rather than seek LCWR’s advice and input, Sister Pat and LCWR have been singled out as radicals by the church hierarchy. Which is particularly interesting because she is so clearly asking moderate, rather than radical, questions. There are many who believe those like Sister Pat should be much more confrontational. And who knows? If the next pope does not seriously consider some of the issues she’s raised, more radical voices may yet rise up. Or, worse, perhaps no one will care any more. Maybe the church will finally be seen as a lost cause.